A little cyber car show... Sporadically updated, Just A Car Geek is an old school blog that focuses on relatively inexpensive, unusual, rare and forgotten cars. Lots of opinions, links to cool and interesting sites, useless & useful trivia, cars for sale, news, a few stories and more... This is not your typical car blog... Comments and submissions are welcomed and encouraged. You could consider this car a Saab convertible with a steel roof. 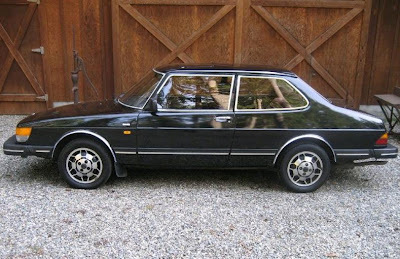 When Saab decided to build a convertible version of the 900, it was based on the 2 door notchback. This is an S model, meaning that it has some "luxury features", including power windows, a sunroof, a power antenna, alloy wheels and some fancier interior trim. 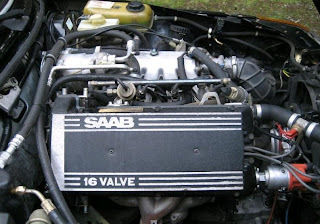 Best of all, the S has the 16 valve engine. This engine is considerably more powerful than the 8 valve engine found in earlier (and later base model) Saabs. With routine maintenance, they're durable engines. The seller bought this car in November. He replaced the brake master cylinder and repaired an oil leak in the engine. This car is not a show car, but is in good original condition. It has just under 200K miles on it. The power locks work "when they want to" and the A/C blows hot. The headliner is starting to sag in the corners and there is 1/4" crack in the dash. 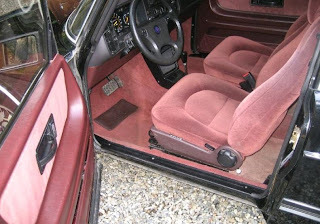 Cracked dashboards are common on older Saabs. A 1/4" crack is nothing compared to some Saab dashboards I've seen. It wouldn't cost much to repair it. Parking the car out of direct sunlight and keeping a cover on the dash may prevent new cracks from forming. The seller replaced the stock radio with a Kenwood CD player. He also replaced the wheels with a set from a Saab 900 EMS. I'd replace those with a set of Saab 900 "Shelby" wheels, although they're not easy to find. With an automatic transmission and the few flaws I mentioned above, I don't see this car selling for an insane amount of money. 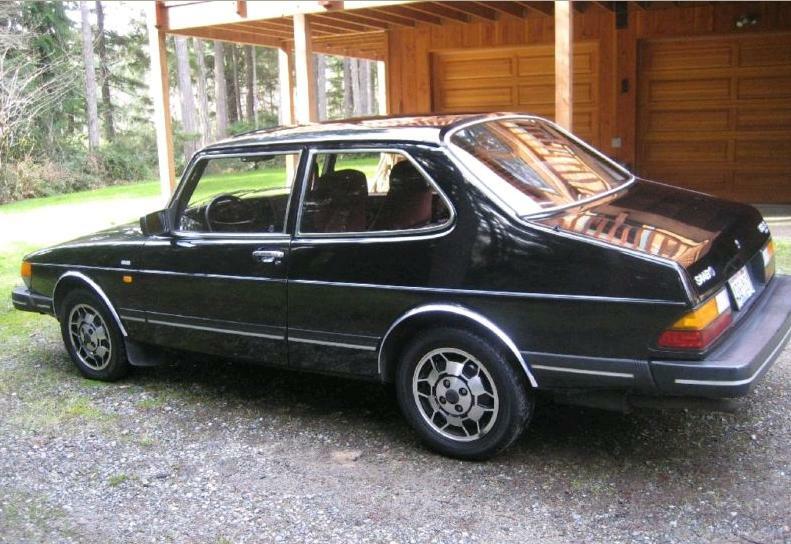 If you're looking for a nice Classic 900 daily driver - one that's fairly rare - this would be a car worth bidding on. Located in Gig Harbor, WA, click here to see the eBay listing. America is much less sedan obsessed than the automakers (publicly) aknowledge. Saab's experience is only part of the proof. All SUVs have hatchbacks. This 2door Saab would be percieved by many US consumers as a "coupe" before they even look at the back seat. I suppose so. The same could be said for the Volkswagen Type 3, hence why the Notchback was never officially imported and the Fastback/Squareback was. Do you have an interesting car story? Know of an interesting car? Have an opinion? Send it to Just A Car Geek - Submissions are always welcome. Platterpus Records - Vinyl, CDs and More! ©Just A Car Geek - justacargeek.com. Awesome Inc. theme. Powered by Blogger.